Our App Architects have formulated innovative practices that ensure an understanding of your app’s objectives and end goal. These Architects also make certain that every team member working on your app is on the same page. This approach has proven to deliver apps that are a perfect fit to our client’s needs. Smartphone usage has become a global phenomenon and is still growing exponentially. Android, iOS and Windows all show most activity from Mobile devices. As devices become increasingly capable we will see more and more consumers turning to this platform for their business needs. It only makes sense for businesses to take advantage of the mobile channel and showcase their solutions to consumers in an app. Our in-house experts allow us to grasp the core objectives that you want your Mobile App to achieve. 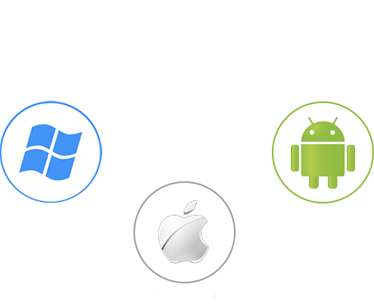 Our team participates with you in transforming your business processes, increasing customer satisfaction and marketing your brand by developing the best in class mobile and tablet applications for Windows, iOS and Android platforms. Our App Development Masters are experts with experience in a wide range of technologies. We deliver robust mobile products for a variety of industries. Our user focused, iterative, and collaborative approach produces powerful results.